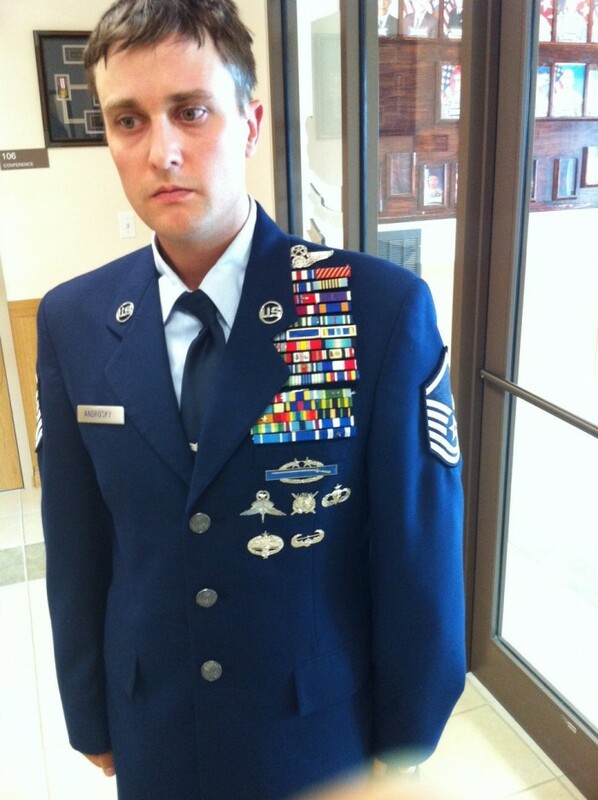 Here’s the story behind that fake uniform. And a picture of him in that uniform with hilarious non-matching boots. That is a shocking amount of stolen valor. Dude would have to be like 100 to have to CIBs.